The Malaak Compton Rock and Chris Rock divorce is probably one of the most expensive celebrity divorce settlements though the terms remain undisclosed. The divorce has left many fans of the celebrity cautious with how they live their marital lives as well as serve as a lesson to many others. Find out more about it here and how Chris, one of America’s finest award-winning humor merchants (comedian), film producer, seasoned actor, screenplay writer, film director is living his life thereafter. The American comedian, movie producer, director, and screenwriter was born on the 7th February 1965 and named Christopher Julius Rock III. He grew up in South Carolina with his family which consisted of his parents and his 7 siblings. Chris Rock had a humble beginning, as a teen, he once worked at fast food eateries to make ends meet in his teens. His journey to stardom commenced after he performed in a New York comedy club Catch a Rising star in 1984 and shortly became one of the club’s regular acts with his unique frank and down-to-earth brand of comedy. 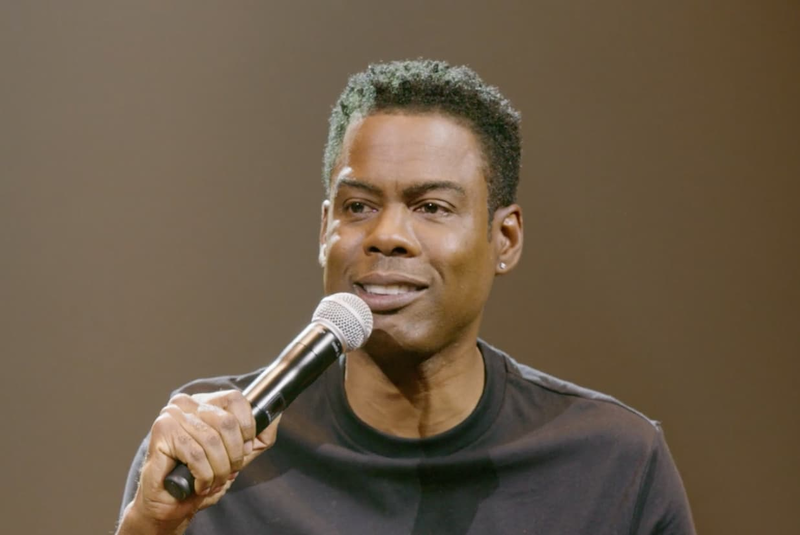 Chris Rock soon landed television roles and in 1990 the budding comedian got his big break when he began to appear on Saturday Night Live, ever since, his career has continued to blossom. His performance in HBO special Bring the Pain earned him an Emmy award in 1996. He performed in sold-out venues and hosted the 1997 MTV Video Music Awards, Black Entertainment Television (BET) awards, and Academy awards. Rock began to receive supporting roles in movies like Beverly Hills Ninja, Dogma, and Lethal Weapons 4. He starred in major roles in The Longest Yard, Bad Company. In 2010 he appeared in Death at a Funeral, Grown Ups as well as Two days in New York. Chris directed and wrote the film I Think I love my Wife (2007). A TV series based on Chris Rock’s early days in school Everybody Hates Chris premiered in the fall of 2005. Rock was both the director and narrator of the popular TV series that was nominated for Best TV series and People’s Choice Award for Favorite New TV comedy in 2006.
Who Is Malaak Compton Rock? Malaak Compton Rock was born in Oakland, California, U.S.A on the 13th of June 1969 as Malaak D. Compton, she spent her younger days in Brooklyn, New York after which she moved to New Jersey. She got a degree in Art Management from the private and historical black university, Howard University in Washington D.C. The former Mrs. Rock is a businesswoman and has over the years worked extensively with Non-profit making organizations and have supported several causes including the Safe Horizon, The Triple Negative Breast Cancer Foundation, HOPE Worldwide, and UNICEF. She worked as a Public Relations Executive for UNICEF and she founded and established an NGO, Style Works, a salon that provides free services for women who are leaving the welfare program into the workforce and she also runs the Angel Rock Project. Malaak and her ex-husband were at Opray Winfrey South African School opening ceremony. She says her inspiration for her works and commitment comes from the life of the founder of the Children’s Defense Fund (CDF) – Marian Wright Edelman. Campton has made an appearance in Redbook Magazine as the recipient of Mothers and Shakers in 2002. Her net worth is reliably estimated to be $20 million. Looking back at how Chris Rock and Malaak Compton began, they met at Essence Awards in 1996 after which they started a friendship which grew into a relationship that finally solidified in a marriage in the same year. 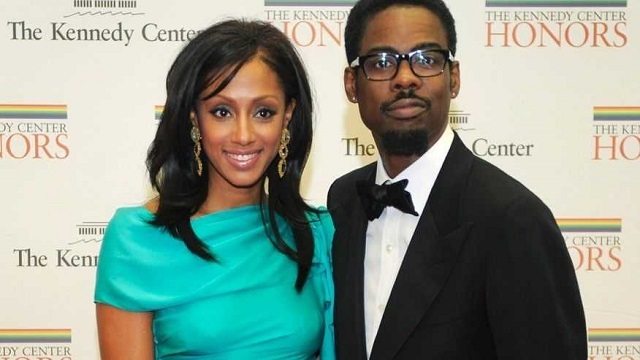 However, in December 2014, Chris Rock, the comedian (who was rated by Time in 2004 as the Funniest Man in America) and his wife Malaak Compton-Rock announced that their almost 2 decades old marriage had hit the rocks. The paragraph below explains what was behind the divorce with the mother of his two daughters and why it took 2 years to finalize their divorce on August 22, 2016. When rumor erupted of Chris Rock divorce stemming from his infidelity, he denied at the initial stage of being involved with any other woman but he opened up in May 2017, admitting his unfaithfulness. In an exclusive interview with Rolling Stones, he stated that he had affairs with three women who he described as famous, semi-famous and retail class respectively. Rumors had it that one of the most likely candidates could be Kerry Washington with who Rock filmed I Think I love my wife (2007) for nearly 6 months. The affair was rumored to have started in 2007 when the ABC Scandal star was engaged to actor David Moscow although the engagement never culminated into marriage as she eventually married ex-football star and actor named Nnamdi Asomugha in June 2013. Actress Rosario Dawson was also fingered to have had an affair with Chris in 2014 while shooting the film Top Five. The filmmaker has vehemently denied this allegation but yet went ahead to file for divorce from his wife of over 19 years in December 2014 at the Bergen County Court. The multi-millionaire pointed out with a tone of regret that he had thought he would get away with his many flings being rich and famous as well as the only breadwinner in the family. He spared no words in blaming himself for the failure of his marriage. It’s very likely that the divorce cost Chris Rock a lot as he was quoted to have referred to his 2017 comedy tour as Alimony. More so, a report has it that the documents of Chris Rock divorce from Malaak Compton-Rock stated that the ex-wife made claims of a substantial piece of the comedian’s fortune worth about $70 million for both child support for their daughters Lola Simone and Zahara Savannah as well as maintaining her lifestyle and her charities as she gave up her job to become a full-time housewife after her marriage. On the other hand, Chris Rock divorce seems to have left the multi Emmy awards winner aloof with any other marriage commitment, though he is currently dating Megalyn Echikunwoke, a half Nigerian-Igbo, English, Scots-Irish descent. Marriage may not be in the agenda for the pair as Rock described her as having her own dough yet pointed out that he would only “marry again if marriage cured AIDS”. Actress Megalyn has starred in TV series like 4400 (2006 – 2007), House of Lies (2012) and Arrow (2016). Rock and Megalyn were first seen together in September 2016 at the Global Festival. The lovebirds are still together doing their own thing.